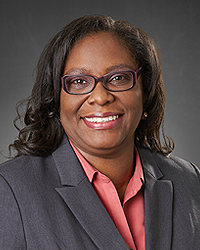 Andrea Bell-Willis, MD, joins Kettering Physician Network Primary Care at Hamilton Health Center. Dr. Bell-Willis completed her medical degree and a family practice residency at Meharry Medical College in Nashville, TN, where she served as Chief Resident. Dr. Bell-Willis has more than 16 years of primary care experience and is board certified in Family Medicine. To schedule an appointment with Dr. Bell-Willis, please call (513) 896-3000 .